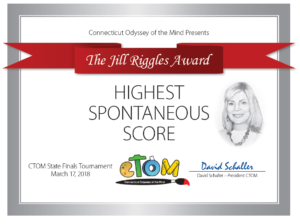 The Connecticut Odyssey of the Mind Board of Directors dedicated the 2011 CTOM State Tournament to the memory of Jill Riggles, a former coach, assistant problem captain and longtime board member who passed away after a long battle with cancer. Jill was a gifted, dynamic, dedicated individual who exemplified the CTOM ideals to serve Connecticut youth. Jill’s special talents for artistic expression, particularly in music, theater and communication combined with her passion for the arts and exuberance for CTOM were infectious and inspirational. She is greatly missed. 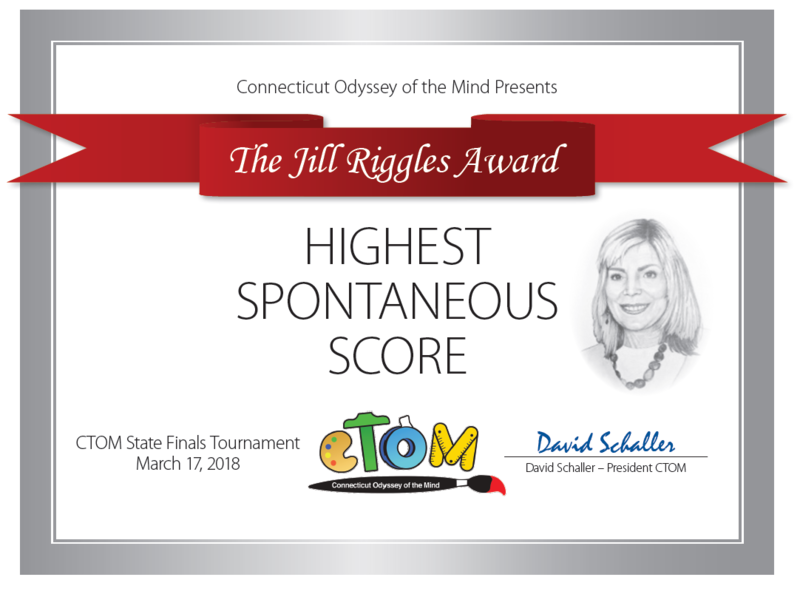 In Jill’s honor the CTOM Board has created the Jill Riggles Award for Excellence in Spontaneous. This award is given to teams with the highest spontaneous score at our yearly State Tournament.